At Sri Kandaswamy Temple, located at the enchanting city of Kuala Lumpur, dwells Kaliuga Varathan Sri Sakthivel Perumaan, constantly blessing and gracing all His devotees. 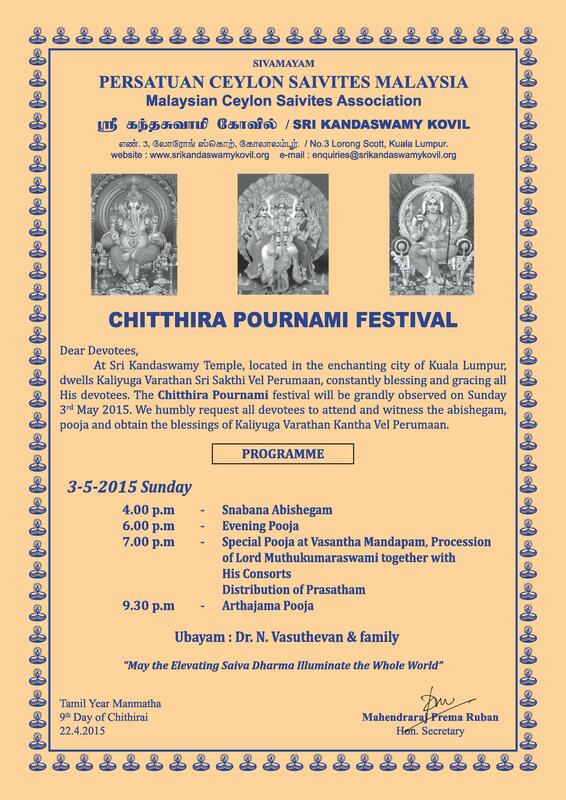 The Chittira Pournami Festival will grandly be observed at our temple on Sunday, 3rd May 2015. 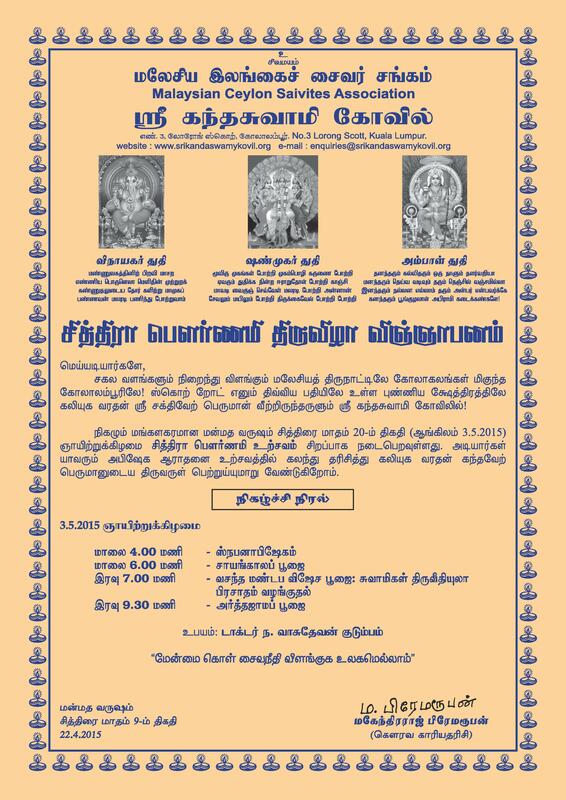 We humbly request all devotees to attend and witness the abishegam, pooja and obtain the blessings of Kaliyuga Varathan Kantha Vel Perumaan.